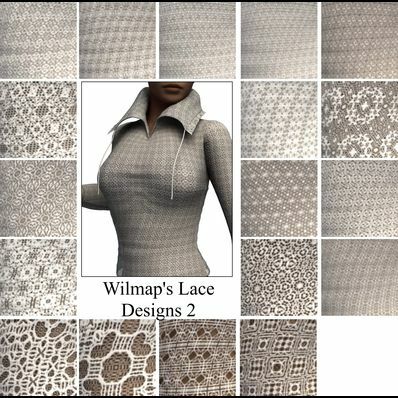 Pack of 16 Lace & Crochet Design Shaders. They are all white so you can add any colour or pattern using the surfaces tab. Just great! Extra nice! Thank you! Thank you :) You have the BEST lace I have found. Thank you they are lovely!